Setbacks can happen to any business. Despite our best efforts, unwanted incidents that will disrupt normal business operations can occur. It’s not a question of whether or not it will happen, but rather “when”. And once it does, it is best to have a recovery plan in place. Many business owners balk at the idea of having to set up a business recovery plan, choosing instead to act only when the worst case scenario occurs. Drawing up a recovery plan can be an intimidating prospect, which probably explains why a Ponemon Institute study recently discovered that six out of ten businesses are not confident that they can quickly recover after a crisis. But creating a plan doesn’t have to be a laborious, time-consuming process. Here’s a simple guideline to get you started. 1. Know your business’s recovery objectives. Part of this is identifying the critical parts of operations that you cannot do without, where it cannot function once this part of the business falls apart. Once you know what the critical business areas are needed to continue operating, with the least possible loss in resources or customer support should disaster strike, you can focus your attention on these areas and de-prioritize the rest. 2. Identify the time frame needed for recovery. This covers the time the crisis took place up to the time you are able to resume normal business operations. This includes key services, staff or resources that need to get back on track as soon as possible – and it’s important to have an idea how long this will take without seriously jeopardizing the important elements of your business. Remember to keep these recovery time frames realistic, and assign a recovery time objective for each of these critical business processes to enable you to prioritize where resources should go when disaster strikes. 3. Designate a recovery team. In each team, every role should be accounted for. Each staff member must have a clear understanding of what is expected of them during the recovery period. Don’t put all of your eggs in one basket: make sure that more than one team member is familiar with another one’s function as a contingency measure. If applicable, it’s best to have each one knowledgable with any manual procedures should there be damages with equipment. 4. Identify alternative suppliers, facilities or equipment. Get to know more suppliers so you’re not dependent on a single one. 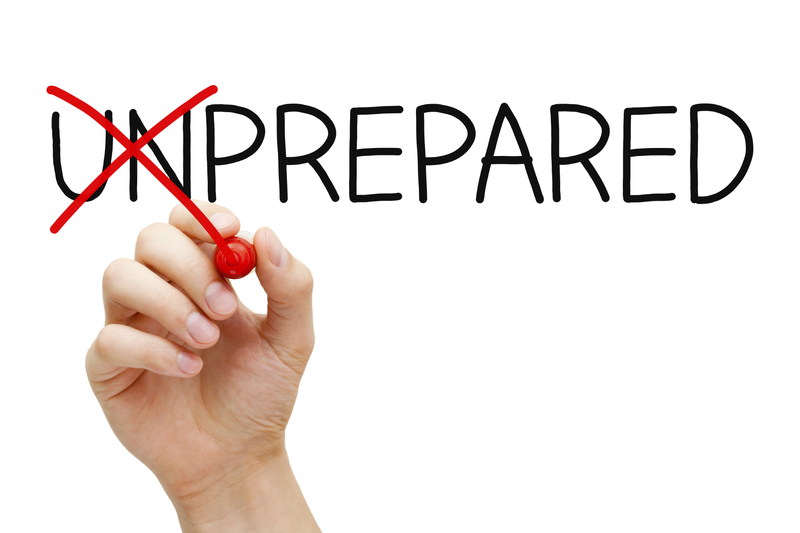 Have an offsite disaster recovery location to conduct business operations, as needed. Make sure to back up important documents, records, or supplies, or provide adequate protection for documents that are vital in the business. Ensure business is operational by preparing a cash flow during emergencies. Factor in disruptions in power supplies, gas, water, telecommunications equipment. 5. Use a checklist to monitor the recovery process. This is needed to asses the extent of the damage after the recovery has passed and for future reference. This information is useful for streamlining the disaster recovery process and improve the procedure even further. Re-assess the feedback so that you don’t have to commit the same mistakes again should business downtime occur again. Whether in business, personal health, or life in general, this adage always rings true: an ounce of prevention is better than a pound of cure.